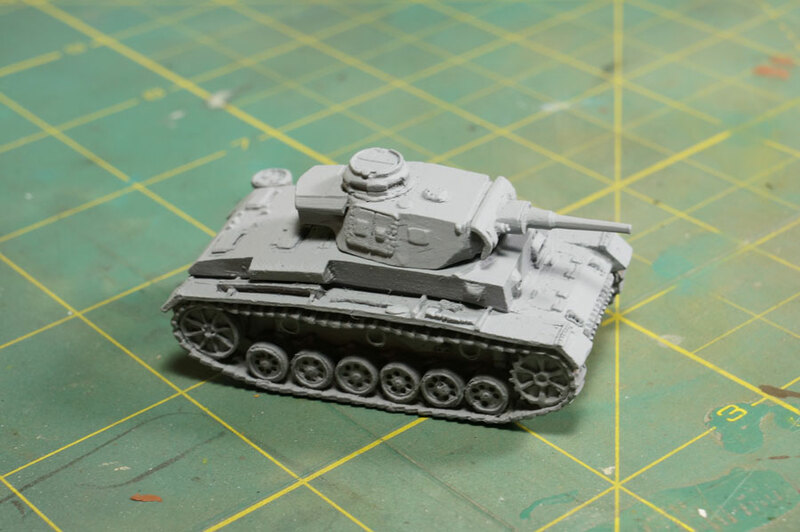 Some free time to continue with the Battlefont Panzer III J Platoon for the Afrika Korps army. I’ve done the base color and some modulation style to achieve some contrasted lights. 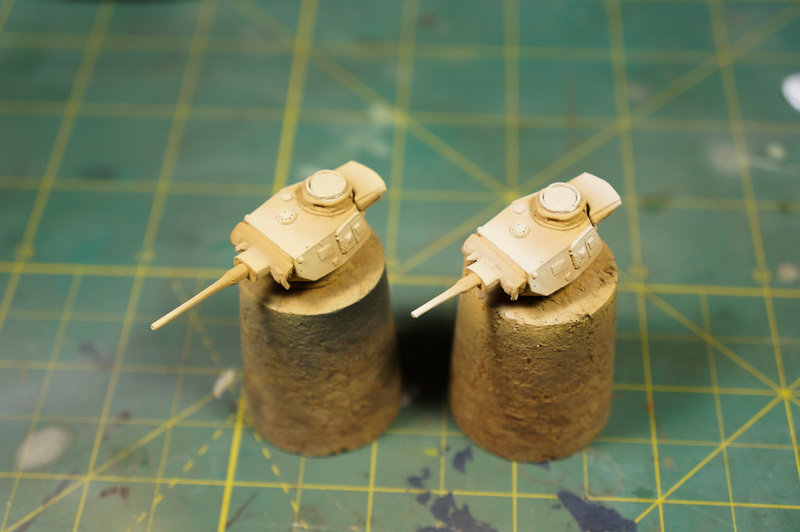 Now I’ve done the base color with Tamiya’s XF-59 Desert Yellow mixed with XF-57 Buff. 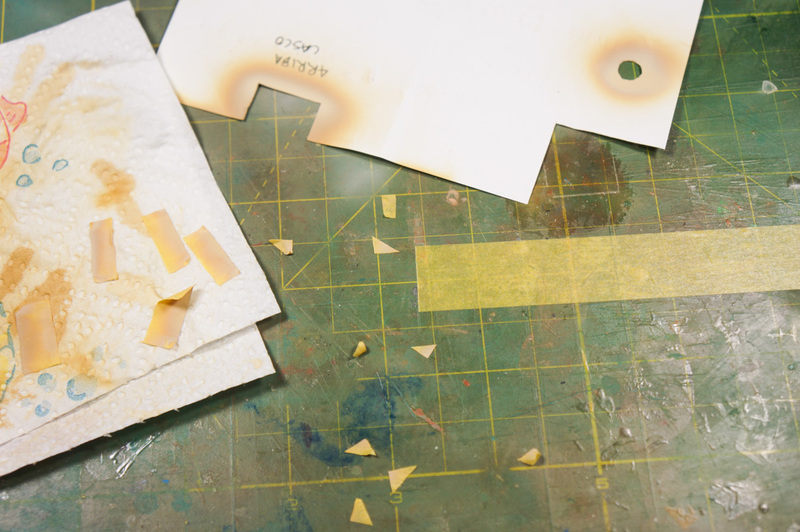 I was searching for a lighter color than the Desert Yellow but still retaining some of it’s yellowish tone. Then, I started to paint some lights with modulation style, but in this case, on less areas than other times. If you overexpose some panels (for example using more white than needed) a little trick is to spray the original color but highly diluted. Let’s say 5% paint 95% alcohol (because they’re Tamiya paints). With 2 or 3 layers, the color will recover some of it’s tone, covering the parts that are overexposed or desaturated (excess of white in this case). 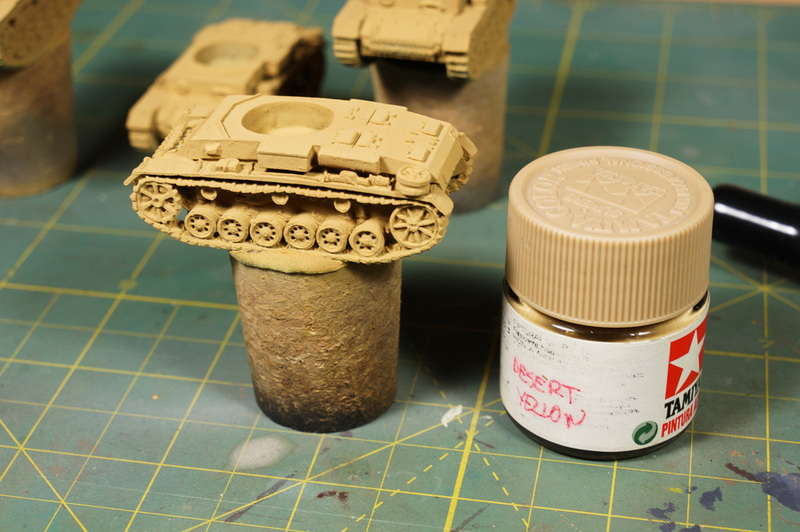 The other turret has been sprayed with 3 thin layers of the 5/95 mix and it recovered some of it’s original yellow tone. The modulation effect is still noticed, but the overall color is more correct. 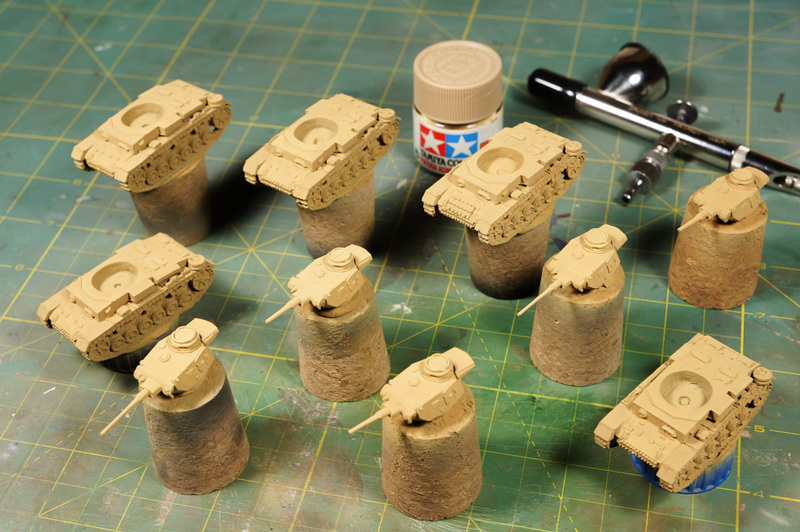 Don’t worry about the set looking so much contrasted… we’ll lower the contrast with the next steps: decals, washes, streaks, chipping, etc. And till the next step. See you guys! 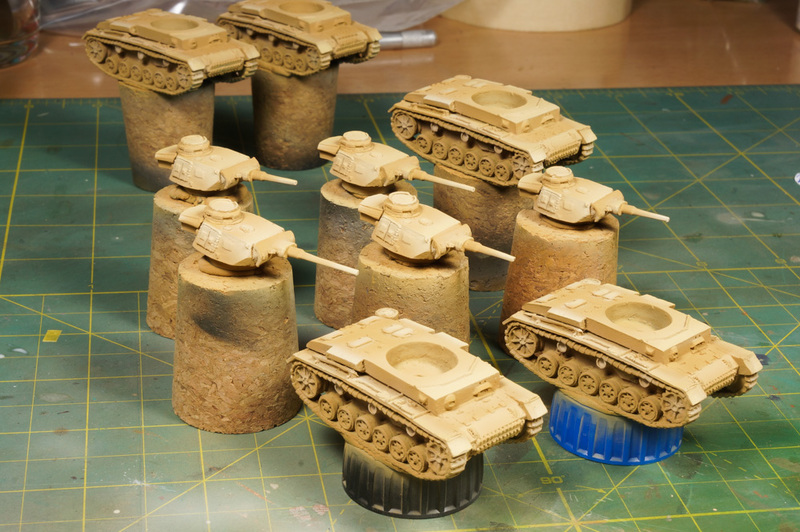 Looking good – are you just adding white to the desert yellow/buff mix for highlights? Yes, only white was added. Instead of looking for a warmer mix, I prefer (in this case) to work with white and recover the yellow color with the homemade filter (5/95 ratio). That’s right, I only use Buff to highlight browns and some greens. But I highlight the majority of colors (including other greens) directly with white. I prefer to play with it and airbrush ‘filters’.